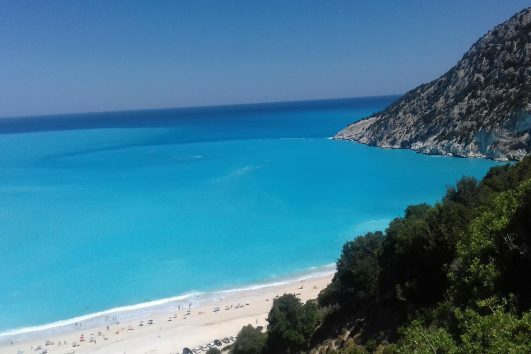 Visit the most famous beaches of the island in one day. 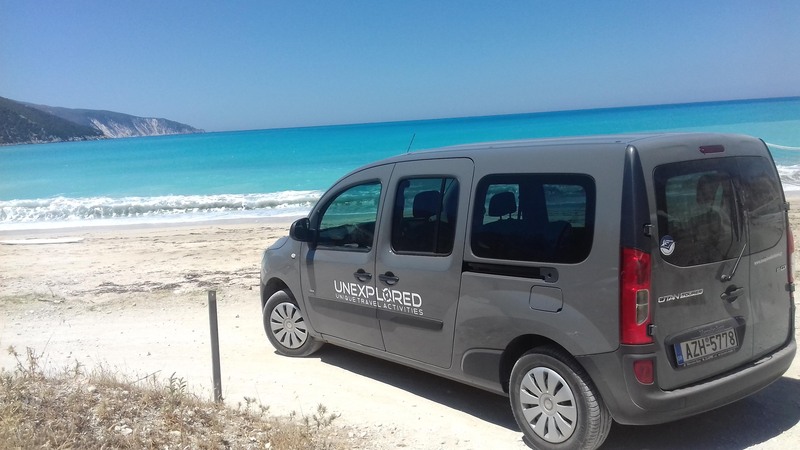 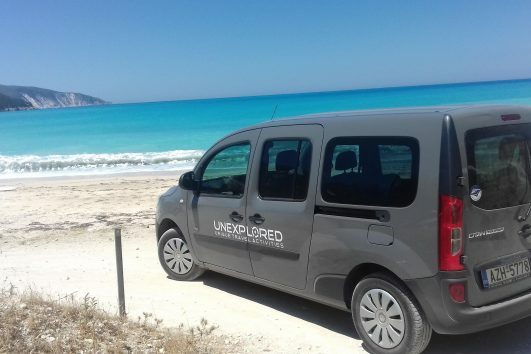 We offer you the oporunity to visit easily, fast and comfortable the most famous beaches in one day with our 7seater van (6 passengers) . 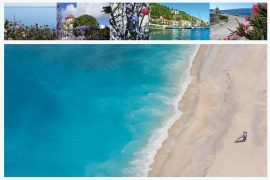 You can book as group or individually. 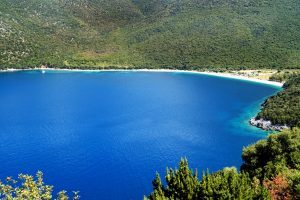 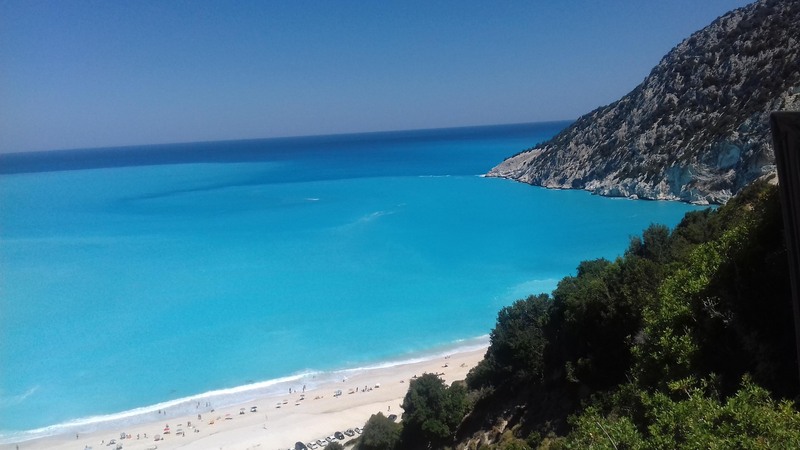 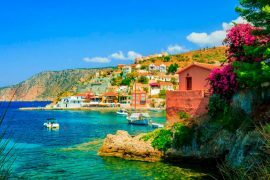 Antisamos:The island of Kefalonia attained special glamour and publicity because of the Hollywood production “Captain Corelli’s Mandolin”, which was filmed in the year 2000 on the island. 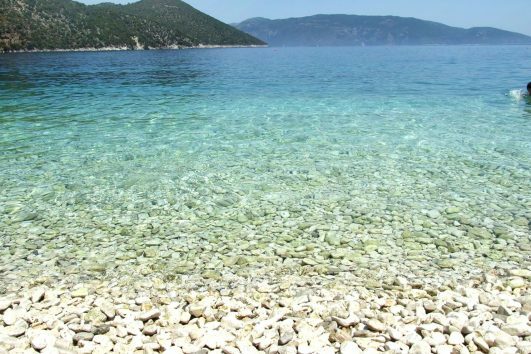 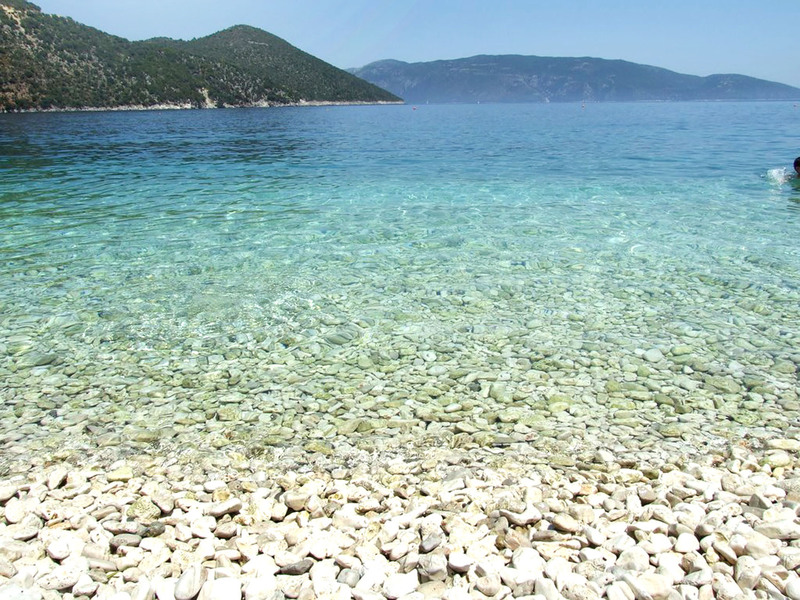 The beach that fascinated most viewers was no other than the beach of Antisamos. 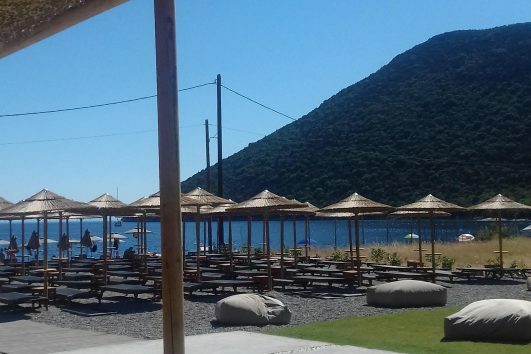 Awarded with the blue flag, it is located a few kilometers away from the port of Sami. 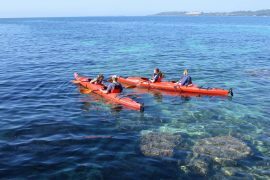 The landscape combines all shades of blue and green, where the vegetation grows almost into the sea. 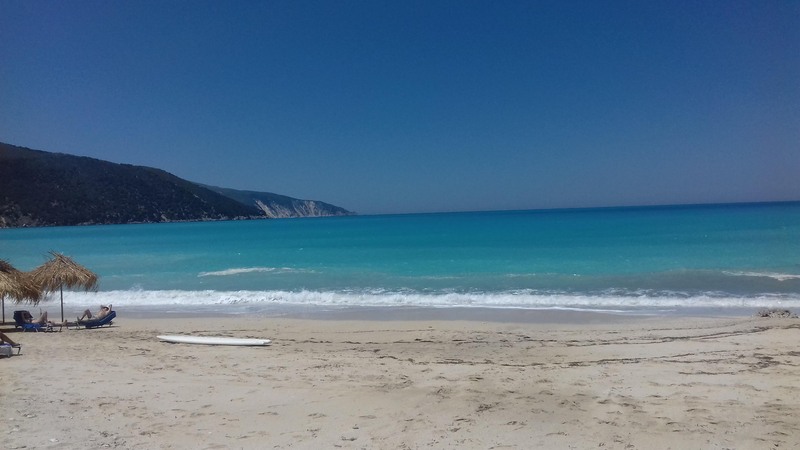 Makris Gialos: Makris Gialos is the most famous organised beach in Kefalonia, with plenty of facilities. 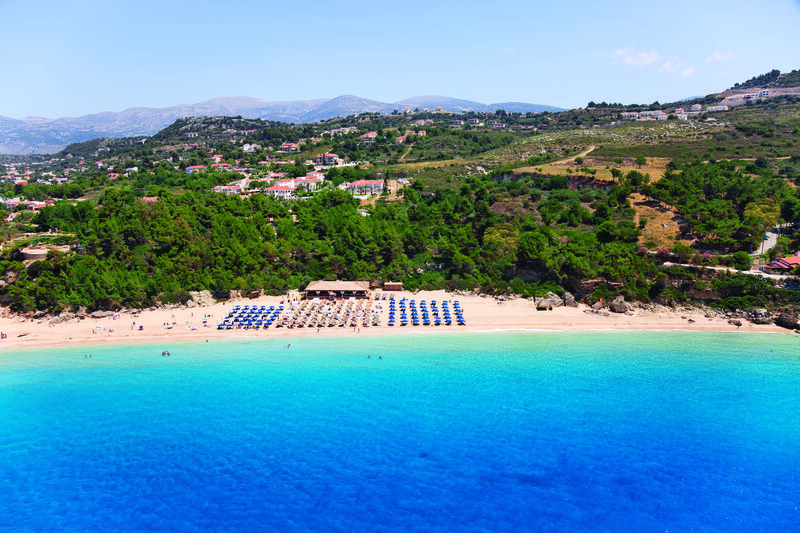 The beach is located in Argostoli-Airport road, 2 km outside of the capital centre, in the Lassi area. It is the beach that every traveler who likes organised beaches should visit during his holidays in Kefalonia. 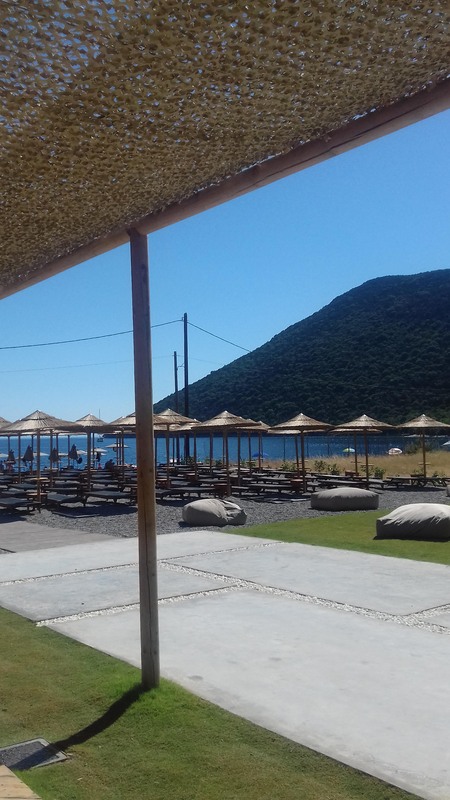 Easily accessible, it is suitable for those who want to combine entertainment, relaxation and recreation, since there are beach bars, abundant deckchairs and umbrellas, a volley ball court, a specially designed area for beach tennis as well as facilities and equipment for water sports. 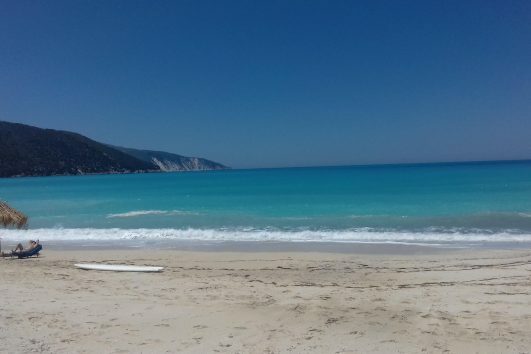 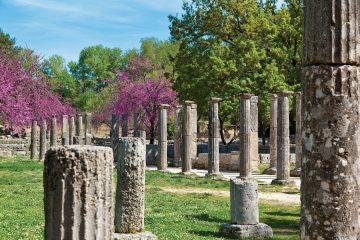 Although frequented, Makris Gialos still remains a dreamy beach. 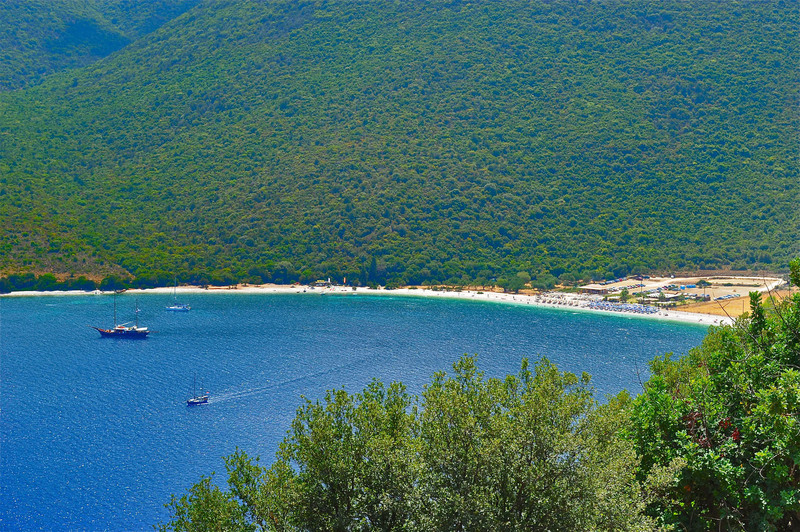 The green of the forest meets the blue waters combined with the golden spectacular sand, stealing all the impressions.